5/121 Cook Road, Centennial Park NSW 2021 • Local Agency Co. Your money will be going to a good cause! Built in the early 1970’s, this impressive and very well maintained building is one of the smaller blocks in Cook Road with only 35 apartments. Irene lived in the apartment for over 30 years and recently passed away, you will know you money will be going to a good cause, as a beneficiary is a charity. We introduce you to 5/121 Cook Road Centennial Park situated within highly desirable building known as “St Malo”. It’s easy as you drive into the building from Centennial Lane to your own undercover car space and the entry into the recently renovated foyer is very close and all level. You also have a storage unit on the ground level so it doesn’t take up valuable space in your apartment. Take the lift to the first level, when you walk into this home you will really appreciate the great natural light that beams in all day and the sense of space, plus you have a balcony that you actually can use. If you want more privacy on the balcony then you could plant a ficus with a small trellis. Have you heard the saying “you make money in property when you buy well”? So don’t pay a premium for someone else’s renovation! You will visualise adding your own style & creative touches to it, while picturing yourself enjoying the home after adding value. If you’re not up for a renovation we have you covered & will refer you to one of our business partners that can take care of everything for you. How amazing would it feel to be about 300 metres to Centennial Park and so close to the best cafes, restaurants, pubs, bars and shops that area has to offer yet such a peaceful and tranquil position. Within close proximity to shopping centres, schools, harbour foreshore, beaches, golf courses, transport and the CBD. • Built in the 1970’s, impressive and very well maintained building with only 35 apartments. 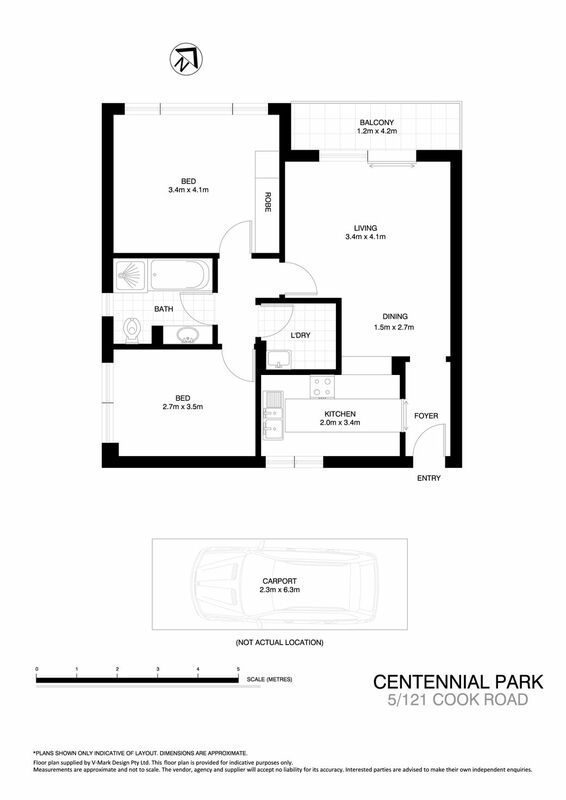 • It’s easy as you drive into the building from Centennial Lane to your own undercover car space and the entry into the recently renovated foyer is very close and all level. • Have you heard the saying “you make money in property when you buy well”? So don’t pay a premium for someone else’s renovation! All information contained herein is gathered from sources we consider to be reliable, however we cannot guarantee or give any warranty to the information provided. Interested parties must solely rely upon their own enquiries.